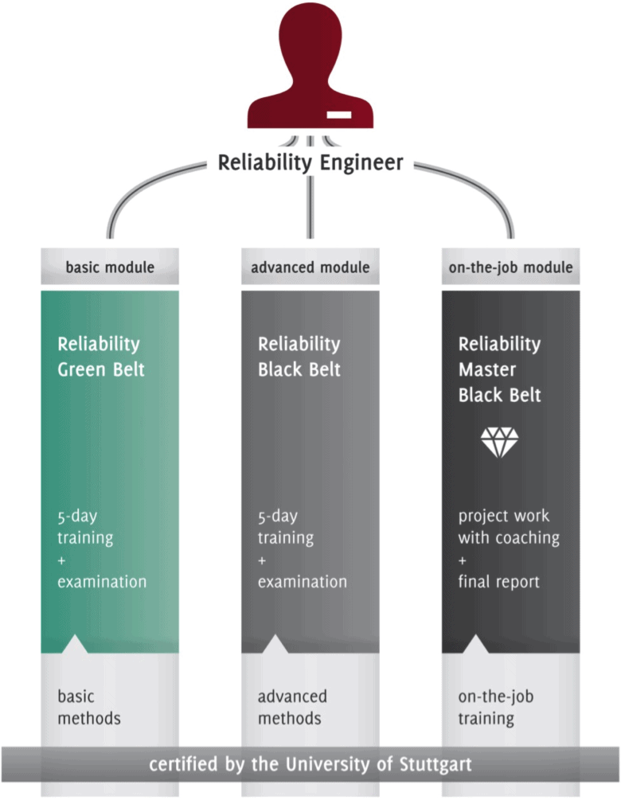 The Reliability Green Belt® comprises the first of three modules in the qualification as a Reliability Engineer Master Black Belt®. In this module, the most important qualitative and quantitative methods of reliability engineering are imparted. 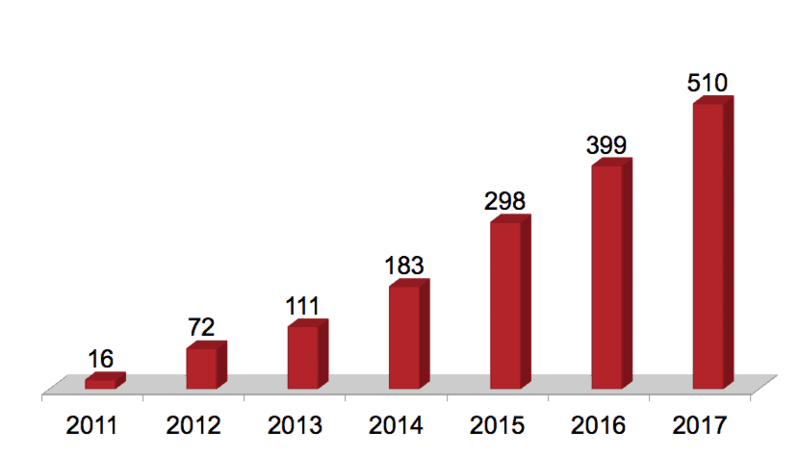 The Green Belt training is deliberately structured to teach the participant when, how and why the individual methods can be applied in the product development process. The essential reliability activities can thus be independently implemented and integrated in a company’s organization by its own employees. 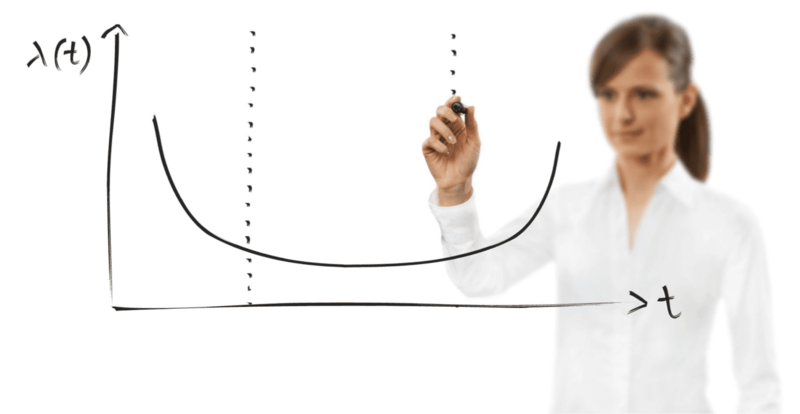 Master the basics of reliability engineering. Improve your ability to use the right tool at the right time, effectively. 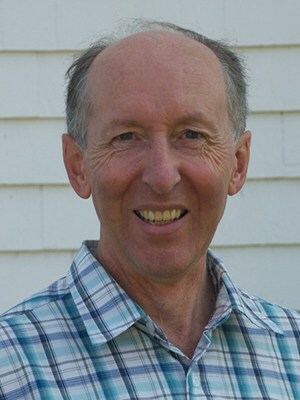 The training will end in all cases with a certificate of participation. 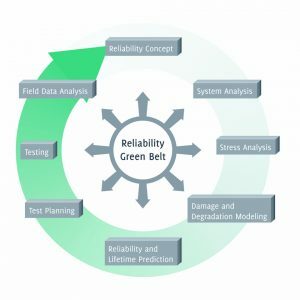 Furthermore, there is the possibility to take a written examination for a certified Reliability Green Belt® at the end of the course. The certificate will be awarded by the University of Stuttgart and the Institute of Machine Components. The examination is in multiple choice form. Not ready to register, yet? *Accendo Reliability is an affiliate partner with the Reliability Engineering Academy. This affiliate advertising program provides a way for us to earn a referral fee on registrations to courses. In short, this means when you register for a course with the Reliability Engineering Academy after following a link from this site, we get a small percentage of its price. This helps support Accendo Reliability by offsetting a portion of the cost to maintain the site. And, your support is much appreciated.